The redi-GO’s design is completely different from the Kwid, unlike Renault-Nissan’s previous offerings that were ‘badge-engineered’. The redi-GO looks nothing like the Kwid which works in its favour. In fact, it looks pretty much unlike any other car in its class. Datsun has managed to make it look as close to the concept as possible, which means the redi-GO looks a lot more modern than its rivals. The edgy design, especially the front-end with the sloping hood that extends into the hexagonal grille gives it a youthful appeal. The headlights looks nice too, especially with their split design. Same cannot be said about the tiny LED DRLs though, since they are barely noticeable. The front three-quarter is the most appealing angle to look at the redi-GO, especially thanks to the sharp cut that runs from the front door right up to the tail lights. The design of the tail gate is again unique, but I didn’t quite like the way the taillights have been designed. On the whole, it is a car that looks eye-catching, especially in that bright shade of green. The new redi-GO also offers a lot of space in the back seat in terms of knee room and head room but shoulder room for three people is not adequate and it could get quite cramped. The seats themselves are quite comfortable, though, with enough lumbar and under thigh support. There is no folding handrest or adjustable headrests at the backIn terms of the front seats, although they are decently comfortable overall with the exception of being quite narrow on the top half, the distance between the steering wheel and the seats aren’t large enough for drivers 6ft and above since the seats do not slide as far back as they should ideally. Of course, most Indian men have an average height of around 5’8’ so this shouldn’t be a problem to them. On the whole, though, the redi-GO is more spacious than the likes of the Maruti Suzuki Alto 800 and about as spacious as the Renault Kwid. The redi-GO shares its engine and transmission with the Renault Kwid. Sitting in the hood is the same 3-cylinder, 799cc petrol engine which churns out 54 PS of power at 5678 RPM and 72 NM twisting force at 4386 RPM. Datsun claims they have tuned the engine to extract more juice from the engine as compared to the Kwid. There isn’t much power to play with in the lower end of the rev band and you really have to accelerate hard to get going, however this engine offers a strong mid and high range. Keep the revs in the mid to high range and you will be able to extract good power from the engine. 3-cylinder engines do have some inherent vibration. The doors and steering have some amount of vibration on idle but it disappears once you step on the gas. The 5-speed manual transmission offers smooth shifts with evenly spaced out ratios. The first gear tops out at around 40 km/hr, the second just under 80 km/hr while the third will get you doing about 110 km/hr before hitting the rev-limiter. After this the engine loses steam as it has already passed its peak output. Datsun claims that the redi-GO will hit the ton from zero in 15.98 seconds, which isn’t bad for a car in this price bracket. Power feels adequate most of the times but there are times when you would have liked more grunt from the engine. Though a 1-litre engine would have been ideal, Datsun went for the 0.8-litre considering cost and fuel economy. However, Datsun has said that they will get something new every 6 months and we reckon that it will be eventually getting a 1-litre engine and an AMT. The ARAI certified fuel economy for the redi-GO is 25.27 km/l, which is marginally better than the Kwid. This may be owing to the fact that the redi-GO is marginally shorter (by about, 30 mm) and approximately 25 kgs lighter than its French cousin. We reckon that in the routine driving cycle, one should be able to extract around 15-16 km/l, which is quite respectable. The Redigo’s electrically powered steering (EPS) is light, but feels lifeless. There’s little feedback on offer and even at higher speeds, the EPS remains inconsistent and vague. On the flip side, its 4.7m turning radius makes this car extremely easy to manoeuvre in the city and makes tight parking a breeze.What stands out though is the Redigo’s ride quality. The suspension tune is spot on and it does a great job of absorbing road imperfections and smaller bumps. Even the larger bumps are discarded in a very mature manner. Pitching and bobbing at high speeds are well controlled too. This little Datsun has a slightly stiff suspension setup to counter the car’s higher body roll, yet on sweeping curves its tall stance does lead to the inevitable top heaviness although it isn’t excessive. Show the car a set of corners or fast curves and it feels outside its comfort zone. Its feather-light weight shows its weakness on the highway where the car feels flighty at speeds beyond 80kph. High-speed stability isn’t really confidence-inspiring and crosswinds only add to its nervousness.The car is best suited for city commuting. Thanks to its 185mm ground clearance, shorter wheelbase and slightly stiffened suspension, it should clear tall speed breakers and deep potholes with ease. Expect the launch to happen within 2 months of the official unveiling of the car on 14th April. This baby Datsun surely will be able to pull some crowd because of its fresh new styling and aggressive pricing. This new budget car will obviously set new standards because it underpins the same platform and is powered by the same engine of the KWID but will be positioned lower than the former. Success is often followed by dalliance. Not always, often. The Q5 wasn’t just one of Audi’s most successful products of all time, it also dominated the luxury SUV space, not just in India but in just about every market since its inception in 2008. At the time it was an incredibly spacious and capable on-road SUV that could do sufficiently well on untarred terrain. It married that performance very well with technology that made life inside the Q5 extremely comfy. Since then, a plethora of able alternatives have cropped up like the Land Rover Discovery Sport and the Jaguar F-Pace, not to mention its traditional German rivals in the BMW X3 and the Mercedes GLC. The rivals have enjoyed a free rein and caught up with the Q5 but now Audi has had enough. It wants its pie back and it wants it now. Enter the all-new second-generation Q5. But how does it earn back the kind of dominance it enjoyed once upon a time – let’s face it – this time around its competitors are very very capable. The new Audi Q5 will be based on the MLB platform that does duty in the new A4. The crossover is lighter than its predecessor by about 90 kilograms. Following the new design language, the new Q5 does resemble the current Q3’s fascia. There are subtle differences between the two, however these aren’t major ones. The front grille is made of a sculpturally flared Singleframe grille with a solid frame. In this one, the side profile looks again more crossover like and it seems to be lower than the outgoing version in visuals. The rear is again made up of the same LED tail lamp cluster, which we have noticed in other Audi Q vehicles. The tail lights are also available with optional dynamic indicators. The tailgate wraps around the C-pillars – a typical feature of the Q models from Audi. A diffuser insert integrates the exhaust tailpipes. High quality black colored leather upholstery and walnut dark brown inlays on dashboard, central console and door panels give a plush look to the cabin compartment. Its cockpit is furnished with ‘Sports’ seats, which have electrical adjustment for height, seat angle, fore/aft and backrest angle. They also feature 4-way lumbar support, which further enhances the comfort. Apart from the entry level trim, its other trims have electrically adjustable front seats, wherein the driver’s seat has a memory function. The leather wrapped steering wheel has 4-spokes and is mounted with control switches for audio, Bluetooth and cruise control function. The instrument cluster has an integrated color screen along with two round shaped meters, which displays informatics like speedometer, fuel consumption, tachometer, external temperature, trip-meter, date several other notification lamps for keeping the driver up to date. The rear seat has split foldable function that helps in increasing the boot volume of car. Its front door panels have armrests featuring illuminated control switches for adjustment of all four power windows. While the central console is integrated with ergonomically positioned switches for various comfort functions of this sports utility vehicle including Drive select, there are a lot of chrome inserts given inside, which adds to its elegance. The company has also given it a number of utility based aspects, which are storage package including glove box, front seat back pockets, front and rear center armrest with storage compartment, storage box under driver’s seat and a sun glass holder, cup and bottle holders, a rear parcel shelf, door map pockets, remote fuel lid opener and many other such aspects. It is integrated with a 3-Zone deluxe automatic AC unit with sunlight-dependent control system. It electronically regulates the air temperature, rate of air flow and distribution to keep the ambiance pleasant. It also has separate temperature control for driver and front co-passenger and its controls are given on digital display. The company has given it an advanced music interface surround sound along with 14-speakers including center speaker in the dashboard and sub-woofer in rear parcel shelf. It also has voice control technology and an additional arrow display in the driver information system with 8 passive speakers, total output 80 watts, radio with triple tuner. It is equipped with phase diversity, hard drive, MP3 player and compatible for WMA, AAC and MPEG-4. This is also integrated with an advanced cruise control with brake intervention system that maintains the set speed constant, while dealing with obstructions ahead. This series is also incorporated with parking system plus, which provides excellent assistance while parking. It features a rear view camera with display provided on MMI screen. It also offers acoustic warning signals for both front and rear, which adds to the convenience. The most important feature of this saloon is its Drive Select function featuring five different modes like efficiency, auto, dynamic, comfort and individual. Its pre-sense basic helps in networking the different vehicle systems that enables driving situations to be categorized and actions to be implemented for preventing occupants. It has features like auto release function, front center armrest, electromechanical power steering with tilt and telescopic adjustment, electrical sun blind for rear windscreen and storage package. Initially, India is likely to get two engine options – a 2l diesel and a 2l TFSI turbo-petrol, not new engines, but as Audi promises much better than before in terms of performance and efficiency. But that much you’d expect even with a facelift, let alone a generation change. Engines usually outlive cars and both these engines have quite a bit of life left in them. Our test car was propelled by the 2-litre, 4-cylinder TFSI engine that now produces 252PS of max power and 370Nm of max torque. It comes mated to the VW family’s 7-speed dual-clutch automatic which helps put down power in conjunction with the on-demand quattro all-wheel-drive system. Power is up by 27PS from the outgoing version but this gets spread out in the ratios, so you won’t immediately notice it. The alternative fuel-efficient diesel option is good for 190PS, and I’m told it is sufficient for almost every requirement thanks largely to that 7-speed DSG gearbox. Of course, if Audi really wants to befriend the growing population of enthusiasts in India, we should see them introduce the SQ5 which brings the big daddy of the TFSI family to the party – the 3-litre turbo V6 that churns out 354PS – and the new 8-speed tiptronic transmission. But that’s for later, both engine options offered at first are expected to be more fuel-efficient and perform better – as you’d expect from the timely engine tweaks. But again, these aren’t enough of a knockout punch; they’re more technical jabs that will earn the Q5 some technical points. Audi has tuned the Q5’s underpinnings to offer more balanced dynamics. The new Q5 rides extremely well, taking bad roads in its stride with improved confidence. The vehicle glides over bumps with authority and never gets disturbed on even the worst of tarmac. The improved ride is reassuring considering the Q5 will also be subjected to off-road conditions. The new electromechanical steering system is light and responsive although it doesn’t convey much and is not thoroughly involving. The improvements to the ride quality come at the cost of handling, which is still very good considering the bulk of the vehicle. The rear biased power delivery from the Quattro system ensures good levels of grip at most times. High speed stability is excellent too and the Audi Q5 remains glued to the road without giving a hint of the speeds to the occupants. There are four adjustable settings for the dampers – Comfort, Auto, Dynamic and Individual. In Dynamic mode, the Audi Q5 is quite agile and offers good feedback from the steering wheel. Body roll is well contained and the Q5 has decent off-road abilities too, which is further aided by Hill Descent control. Braking performance is good and the speed shedding ability from this beast is thoroughly impressive. All 2017 Audi Q5 models come with stability and traction control, front side airbags and side curtain airbags. Rear side airbags are a stand-alone option, while the Technology package includes parking sensors, a rearview camera and a blind-spot warning system. There are no collision avoidance or lane departure technologies available.In Edmunds brake testing, a Q5 2.0T with 18-inch wheels and summer tires came to a stop from 60 mph in 114 feet, an average distance for this class. A 3.0T Prestige with 19s and summer tires stopped in a praiseworthy 109 feet. The 2017 Audi Q5 has quite the laundry list of improvements. From is larger size, new platform, lighter weight, more powerful engine, new quattro AWD system, and sharp new interior, the second-generation Q5 represents a huge leap forward in design and execution.Crossovers are only becoming more popular these days, so Audi should be well set up for success. We foresee sales increasing over the previous Q5 – less of course Audi does indeed jack the price up $10,000. We’ll definitely keep you posted on what transpires. Looked at it in parts, Maruti Suzuki’s Ignis is very interesting. As a compact hatch with a tough and cheerful feel, the Ignis has found huge appeal in India. Class leading features add to the wow factor, and the interiors promise a youthful feel too. While the engines are the tried and tested 1.2 litre petrol and 1.3 litre diesel engines, the inclusion of automatic transmission options for both engines, courtesy of the simple and cost efficient AMT, add another element of specialness to the Ignis. And all this has been built around Maruti’s new fifth-generation platform. But is the Ignis greater than the sum of its parts? We take a first drive to know exactly that. Walk around, and the Ignis masks its short 3700mm length effortlessly. It’s compact, and should therefore squeeze into tight parking spots easily. When viewed from the side the Ignis’ design looks well balanced and doesn’t end in an abruptly chopped rear end. Large 15-inch wheels fill the wheel wells beautifully. Hyundai has revealed the new digitalised set of images of the updated i10 which is sold under the Grand i10 nameplate here in India. While Hyundai sells both the i10 as well as the next generation Grand i10 in India but in other International markets the South Korean automaker has actually discontinued the previous generation car. The Grand i10 in India gets more space inside compared to its predecessor; it also gets rear AC vents. As far as the powertrain is concerned the Grand i10 sold in the India gets the 1.2 Litre four cylinder Petrol engine and also a 1.1 Litre three cylinder diesel engine.Coming to the European variant of the i10, as you can clearly see in the images the updated hatchback gets few cosmetic updates on its exterior for more emotional appeal. Apart from the exterior the interior too has received few nicks and tucks here and there as well. However there are no changes made under the hood. 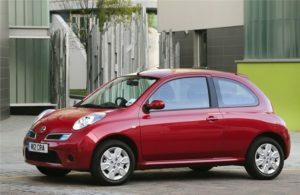 Unlike some of its hatchback rivals, Hyundai i10 was not as good looking. The looks were one thing that went against the car but it finally has been taken care of in the revamped models. The car is known for its smartness and coupled with the better exterior looks, it sure makes a strong case this time around. Inspired by the new fluidic concept, the design is not really a big step forward. The bolder, bigger headlamps give the i10 a more upmarket look. The frontal form gets a hexagonal form, which again is in tune with the new looks that can be seen on other Hyundai products as well. The sides and rear of the car too have undergone a design change with new style wheels, and redesigned rear lamps and bumper to give the new i10 contemporary and streetwise look. Dimension wise, the i10 is 3585 mm long, 1595 mm wide (as wide as the Chevrolet Beat) and 1550 mm tall. All versions come with 155/80 R13 wheels and the i10 is available in eight different color options. All the versions come with standard steel wheels without optional alloy. The top-end versions with rear spoiler and integrated brake lamp look nice. The rear view mirror integrated indicators for some of the higher versions look good as well. The dashboard and centre console continue to have the same layout but what has changed is the equipment list which just got better. You now get a 7-inch touchscreen for the infotainment system which also gets Android Auto and Apple CarPlay and a reverse camera. It also gets Bluetooth, Aux-IN and USB connectivity but misses out on a CD player. The sound quality is fairly good for this price range but the rear camera could’ve definitely been better, especially during the dark when the images appear slightly unclear. The Grand i10 now gets an automatic climate control and trust me, the AC is a chiller even in scorching heat. The steering continues to get audio and phone controls. The interiors are comfortable and airy as ever and the keyless-go function is convenient too. The seats are supportive and cabin room is good but a third passenger at the rear could be a tight fit. The Hyundai i10 Era has an in-line petrol engine of 1.1 litre 68bhp iRDE2 (Intelligent Responsive Drive Engine) which is capable to churn out 68bhp of output at 5500rpm and give a maximum torque of 99Nm at 4500rpm. The 1.1 litre 1086cc engine has four cylinders along with three valves per cylinder. The iRDE2 petrol engine is matted to five speed manual transmission with SOHC valve configuration and comes with front wheel drive option. The Hyundai i10 Era can attain a top speed of 149kmph with the 1.1 litre 68bhp iRDE2 petrol engine. The acceleration of the car from 0 to 100kmph is in 15.5 seconds which is fair enough with the engine being used by the car. The Hyundai i10 Era gives a mileage of 15.4kmpl when it is being used in city. At the same time, on the highways, the car gives a 19.2kmpl of mileage. The fuel used in the Hyundai i10 Era is petrol and the car complies with Bharat Stage IV emission norms of the country. The fuel tank capacity of Hyundai i10 Era is of 35 litres. The Hyundai i10 Era has a 155/80 R13 size of tyres which have a better grip on road. The radial type tyre helps the car to be stable while driving in speed. The 155/80 R13 size tyre is tubeless which decreases the chances of puncture on road. The Hyundai i10 Era has hydraulic shock absorbers. The kerb weight of the Hyundai i10 Era is of 870 litres. Hyundai i10 lacks essential safety features like airbags and anti-lock-braking system. Other safety equipment available on the hatchback include engine immobilizer, day and night inside rear view mirror, central locking for all doors, fog lamps in front, foldable key and keyless entry. Ventilated disc brakes in front and drum units at rear provide power to retard speed. The above noted changes made to both the exterior and interior of the Hyundai i10 are minor but this will give the hatchback a new lease of life. The reason why we are interested particularly in the European spec i10 is because expect the Indian spec Grand i10 to carry over the same changes here as well. We do hope that some of the interior updates are too carried over to the Indian spec hatch as well. Introduced in October 2011, Hyundai’s mini-hatchback challenges Maruti’s ace model in the segment-Alto. While the fluidic design philosophy became a talking point, the hatchback was also considered a bit pricey compared to Alto series. Lacking diesel engine like other models in the segment, Eon is available in petrol and LPG fuel options. Mechanicals include a 800cc and 998cc petrol units mated to a five-speed manual gearbox. In its product cycle spanning five years, Hyundai Eon mini-hatchback has undergone subtle additions and is now readying for a makeover likely to come out around festive season this year. Offered with petrol and LPG options, the Eon line-up derives power from a 800cc unit and a 998cc engine just like its arch rival Alto K10. But where it misses out on is the AMT unit making do with a five-speed manual transmission. Hyundai Eon is the smallest car to get the company’s fluidic design and the design philosophy shines the best through the car. Eon could be the car with most curves and lines in its segment, or a segment higher for that matter.Heads-on, the Hyundai Eon gets swept back headlamps with a neat chrome strip adorning the Hyundai logo. The hexagonal grille is also a part of the front bumper which is really big and gives a macho look to the front of the Eon.Sculpted bonnet and neatly designed fog lamps are a rarity for the cars in this segment.Come to the side and see the fluidic design flow through the car with beefed up wheel arches, a shoulder line that runs from the headlamps to the tail. Another sculpted line runs the length of the car between the front and rear wheels. The shoulder line scoop upward towards the rear that makes the side profile sportier but rear window visibility is compromised. Even the door handles follow the shoulder line’s path with the rear door handles positioned slightly higher than the front ones.To the rear, the large tail lamps are well designed, following the car’s extroversive character. The rear glass is pretty wide and the rear spoiler is neatly integrated.The rear bumper is pretty meaty but is a size bigger than necessary, also making the boot less accessible by that much. The exhaust pipe is neatly hidden underneath the rear bumper, allowing for a neat layout.The Eon gets 145mm tyres with 12 inch rims for the D-Lite, D-Lite+, and ERA+ variants and 155mm tyres with larger 13 inch rims on Magna+ and Sportz variants. Both are pretty skinny and we recommend an upgrade to 165 or wider tyres for safety. Hyundai Eon has very well-thought interior. It is airy and has a cheerful feeling to it. The materials used inside are of very good quality and the finishing of everything is done in a very nice way. Being tall, there is a lot of room inside. The legroom and headroom is ample for four adults and a kid to sit in the vehicle comfortably. Hyundai has used a lot of beige colour to make the car feel premium from the inside. The dashboard has been designed in a curvy and flowing way, and the car feels amazing, especially with the price tag it comes with. Hyundai has tried to keep things very simple and as informative as possible. The instrument panel, for instance, has only three neat pods displaying every information about the vehicle. The steering wheel feels proportionate to the interiors and feels good to hold. The storage inside the Eon is well managed. On the centre column, the Eon gets a good audio system with premium features. The highlight of interior would be the gear shift indicator that aids the driver in saving a lot of fuel. The small budget car also comes with tilt-steering and front power windows for easy access. The centre console features tiny chrome dipped buttons, which looks snazzy. However, Hyundai could have done a better job on this part. Hyundai Eon has good quality seats and they don’t easily fatigue the occupants. The cabin space, however, is smaller than that of Alto or even Nano. With a boot space of 215 lires, the Hyundai Eon offers a good amount of space for the price it comes at. Even though the Hyundai Eon is an entry-level hatchback in the market, it is equipped with advanced features. The car gets integrated music system with many advanced features, like radio, CD player, AUX-in, ipod connectivity and USB. These features are often missing from most of the expensive cars and Hyundai has done a good job by providing these unexpected features in the vehicle. There is a set-up of four speakers in the car, which plays the sound relatively well. To manage the space in a better way; Hyundai has installed accessories, like rear parcel tray, cup holders and bottle holders around the vehicle. There are also map pockets and floor console storage for additional space. Hyundai has really thought well about the Eon and its space management. The Hyundai Eon in India gets a 3-cylinder engine that was developed at Hyundai’s R&D centre in Hyderabad. It’s the same engine as in the i10 with one cylinder removed to reduce displacement. It makes 56PS of max power along with 75Nm of torque which is the best in class. Driveability isn’t great with max torque being generated at a fairly high 4000rpm which means you have to constantly shift down to lower gears. In urban areas you will find yourself using second and third gears constantly and that also keeps the revs high. At engine speeds above 3000rpm it sounds buzzy and scratchy and the sound only dies out considerably when you shift to higher gears and keep the revs low and that largely happens on the highway. Yet its NVH is within comfortable limits and unless revved hard this engine is a quiet operator. It’s also very similar in feel to the Alto’s 800cc engine, in first gear there is a small flat spot under 1500 rpm that intermittently also shows up in second gear. At times unless revved hard it feels like the engine is dying out even though you’ve engaged first gear and released the clutch. The 5-speed transmission is smooth to operate, however on another car it felt notchy. I guess these are some of the consistency issues that Hyundai will have to sort out. The ratios nonetheless are spaced out quite a bit to provide the best fuel efficiency rather than performance, yet first to third gears sees the Eon gain momentum quickly enough. Hyundai Eon D Lite Ex-showroom Price is 3,27,313/- and On Road Price is 3,70,579/- in Chennai. Hyundai Eon D Lite comes in 5 colours, namely Red Passion,Sleek Silver,Pristine Blue,Polar White,Star Dust. The Figo Aspire is Ford’s first crack at a four-metre sedan market in India. Right from the start, the latest Ford has its work cut out. Up against well-entrenched competition like the Maruti Dzire, Honda Amaze, Hyundai Xcent and Tata Zest the Aspire will have to be really good to make an impression, and Ford knows this. The American carmaker, however, is quietly confident it’s come up with something special enough for the task at hand. Some of that confidence stems from the fact that the Aspire is much better suited to Indian conditions than any Ford before it. Unlike many of its predecessors, this car has been engineered from scratch – and not just adapted – for customers in developing markets like India and Brazil, where much of the developmental work on the car was done. But just how good is the Aspire? Lot of thought has gone into development of the Figo Aspire; it might not excel at a specific thing, but is a superb overall package. It looks decent, offers plenty of cabin space, scores REALLY high on safety, beats the competition on performance and has a decent ride and handling package. It does miss out on few features, but I don’t mind missing out if Ford manages to price this competitively. The price then becomes an important factor in deciding the fate of this product. Ford is expected to launch the car and start deliveries in the next three to four weeks and if you are looking at buying a compact sedan or any car under Rs 9 lakh, it makes sense to wait for a month to check this out. But there’s little room for sentiment in the cut-throat world of car sales. Land Rover may have a bigger heritage to shout about than any of its rivals, but that’s unlikely to persuade you to part with your hard-earned cash if there’s something demonstrably better on offer at the same price. Put simply, the new Land Rover Discovery needs to be brilliant to tempt you away from other luxury SUVs, such as the Audi Q7 and Volvo XC90. Land Rover Discovery Ex Showroom Price in Lucknow ranges from 71,36,319/- (Discovery S Petrol) to 1,07,88,911/- (Discovery First Edition Diesel).Land Rover Discovery has 10 Variants of Petrol are available in India. Land Rover Discovery comes in 10 colours, namely Fuji White,Baltic Blue,Firenze Red,Indus Silver,Nara Bronze,Bali Blue,Siberian Silver,Ipanema Sand,Marmaris Teal,Santorini Black.